Welcome to La Verona, Kennett Square's finest Italian restaurant. Our location on East State Street in Downtown Kennett Square makes it the perfect spot for those seeking an authentic and delightful fine dining experience. Here at La Verona, we are committed to making your meal a memorable one, with professional service in an inviting, and vibrant social atmosphere. Our attention to detail goes from selecting the finest and freshest ingredients, to the careful preparation of our dishes. 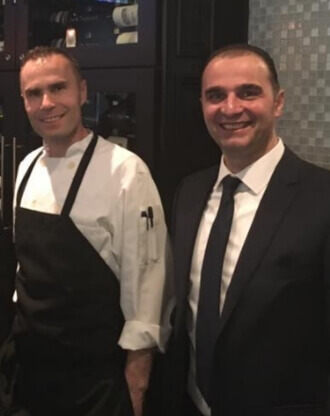 Our chefs and wait staff look forward to giving you an exceptional dining experience. Our passion helps us to provide our customers with amazing food and outstanding service. Our menu is within the scope of "Cucina Classica": the menu will strive to highlight the northern region of Italy and seasonal variations for which Italian cuisine is celebrated. Here at La Verona, we provide an experience based on your specific preferences. Our Private room makes your party special and enjoyable. Let us spoil you. Verona, Italy is a popular tourist stop in Northern Italy. It is known for its breathtaking Roman Architecture and for being the setting for Shakespeare's famous Romeo and Juliet. After all, what says romance more than Shakespeare and Italian food? 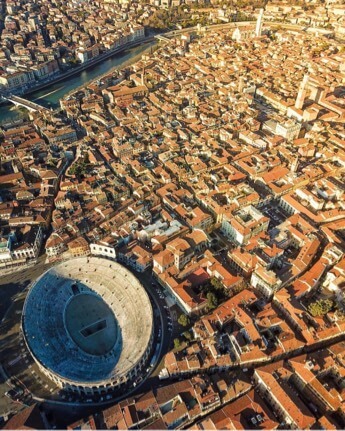 Verona's historic architecture and rich history have earned Verona, Italy a place as a UNESCO World Heritage Site. A city so rich in culture and history is the inspiration for the authentic Italian Dishes offered at La Verona Italian Restaurant in Kennett Square, PA.
A city with such an esteemed culture and history is the inspiration for the authentic Italian dishes offered at La Verona Italian Restaurant in Kennett Square, PA.
We can host private parties of up to 65 people in our private dining area! This is one terrific Italian restaurant. Enjoyed happy hour....great martinis and appetizers. Followed that with an excellent dinner. The owner, Sam was gracious and made us feel welcome. Our waiter, Michael was the best. Looking forward to our next visit! It was our first time there and we met our friends for dinner. OMG! Our dinner was perfect and dessert was even better. The staff was amazing and the owner was super nice! We were the last people to leave and he was so hospitable, he gave us a shot of limoncello on the house. We had a wonderful time and can’t wait to go back! Thank you for a fabulous evening! The food is very good. My dining companion really enjoyed the veal saltimboca and I tried the eggplant parmigiana. It was prepared a bit differently, as there where separate eggplant circles that were breaded with sauce and cheese. I enjoyed this more than the traditional layered, casserole style. Live music on a Thursday night was a pleasant treat as well.